Learn to make this easy fried rice recipe with egg. 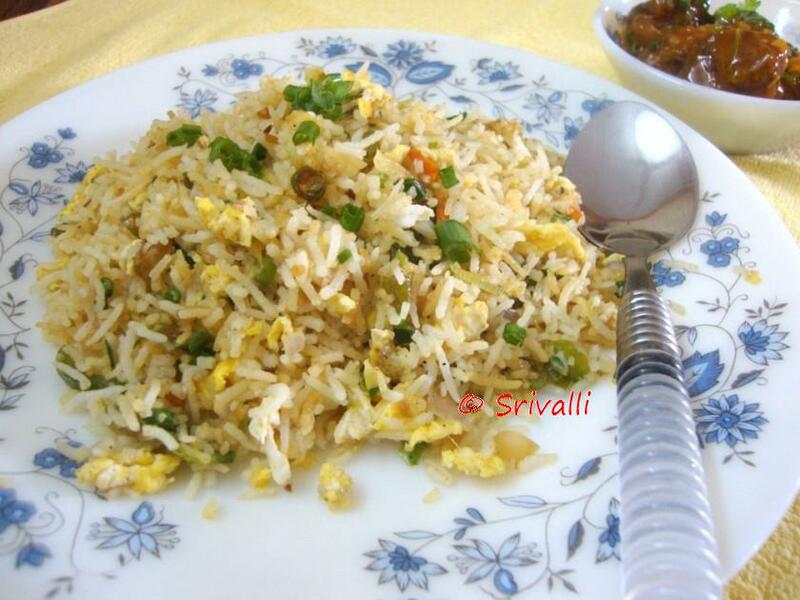 This is an easy version of egg fried rice recipe, Indian Style. Making Egg Fried Rice is not so complicated nor tedious process.When Chicken Fried Rice seem too tough you can ruffle this in no time. As always I normally make the vegetarian Fried rice first and then add the Scrambled Egg or Fried Chicken to the rice. 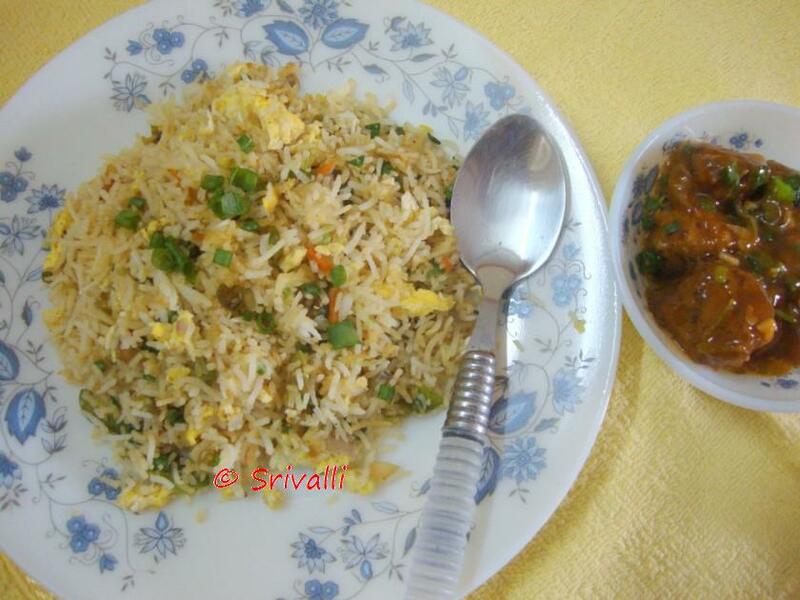 I made this Egg Fried Rice couple of weeks ago for Sunday Lunch along with Vegetable Manchurian. Since this was the main course, I had to remove the portion for vegetarian before adding the scrambled eggs to it. It's been raining non stop during the weekend. We had gone to Tirumala for Darshan and it was so chill in the hills. We had a wonderful darshan, it was a great weekend all together. Schools have been closed for the past 3 days before the weekend because of rain and we are at our wit's end to know how to keep the kids occupied at home. 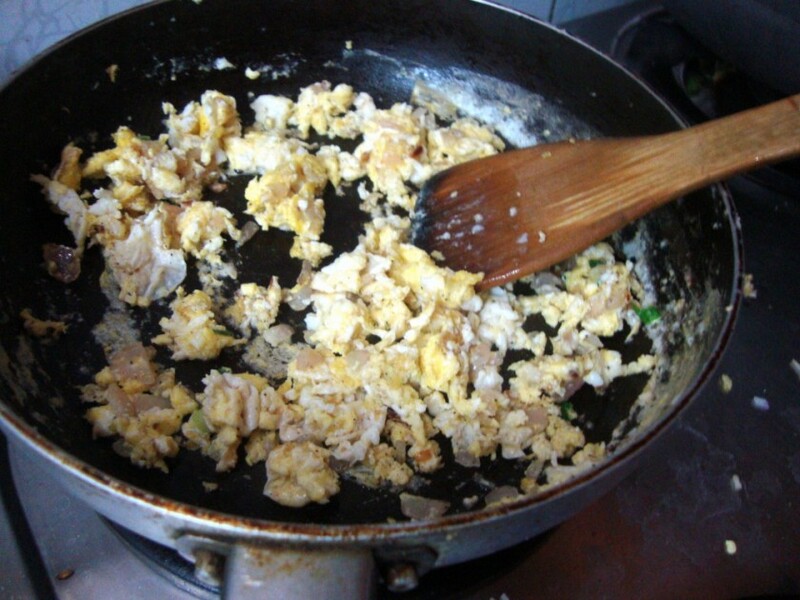 Step by Step of making Egg Fried Rice. Cook the rice and spread it out to cool the rice. This way the rice separates into grains. For the scrambled Egg, heat a pan with oil, saute onions till light brown. 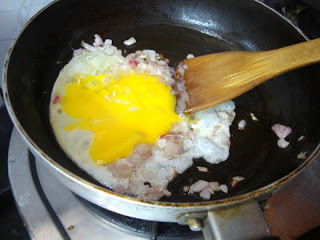 Beat the eggs well with salt, add to the fried onions. Scramble it quickly, sprinkle pepper over it. 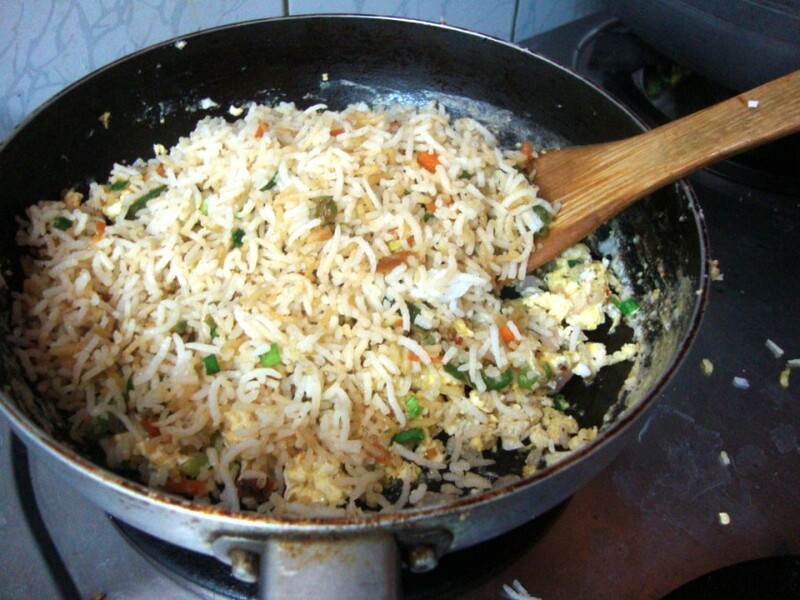 Then add the cooked Fried Rice to the pan and mix well. 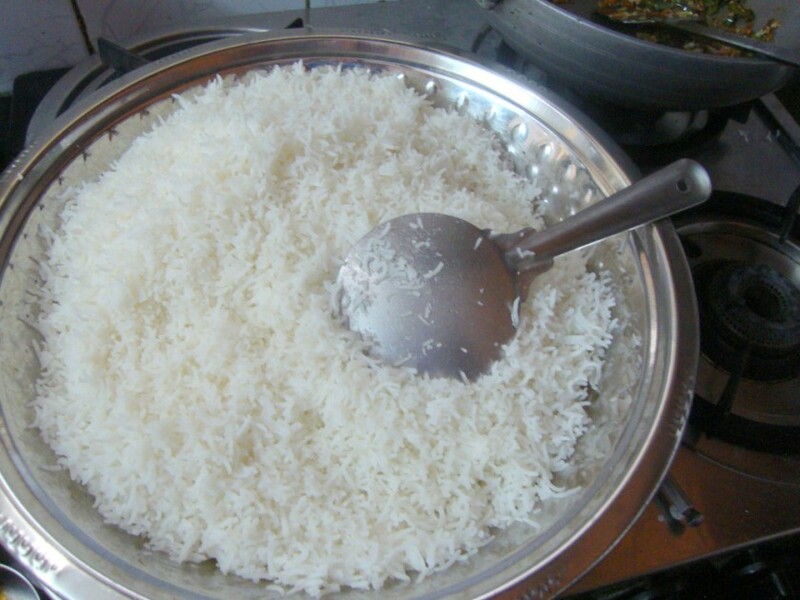 Check the steps to make the Rice in the Chicken Fried Rice. Chop onions finely. 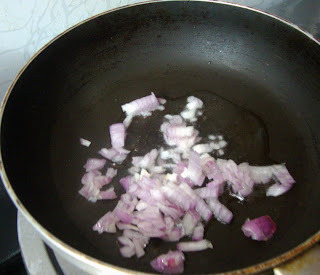 Heat a pan with oil, saute onions till they turn colour. 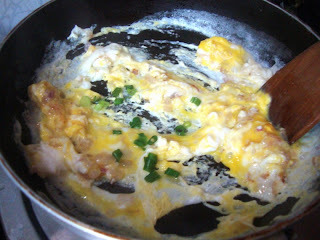 Meanwhile take the eggs in a bowl, whisk well with salt and pepper. Retain some pepper to sprinkle over the cooked eggs finally. When the onions are done, add the egg batter, spring onion greens, green chilies, scramble it quickly over high flame. When the eggs are cooked, sprinkle the pepper over it. Then simmer, add the required fried rice to the pan and mix again. 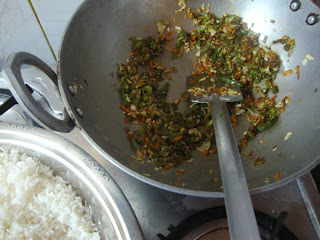 I served this with Vegetable Manchurian which will follow. What did you all prepare for the weekend?